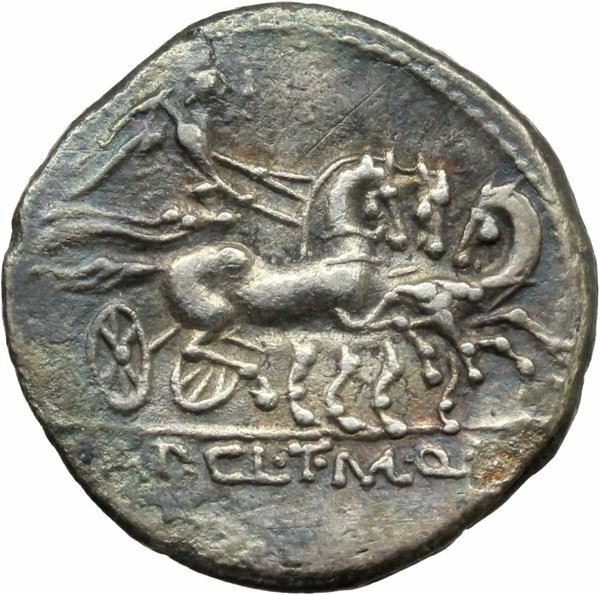 T. Manlius Macinus was one of the moneyers for the year 111-110 BC. He struck coins jointly with his colleageus for the year, Ap. Claudius Pulcher, and Q. Urbinus. He later served as Tribunis Plebis in 107 BC.